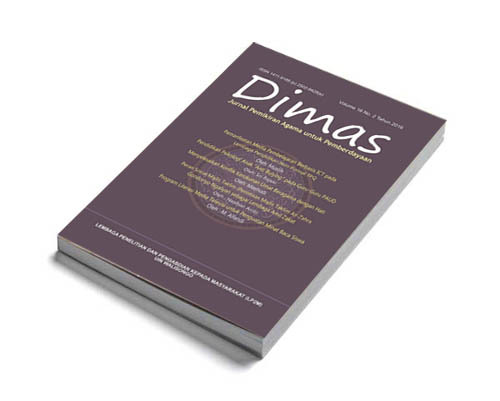 DIMAS, ISSN: 1411-9188 (p); 2502-9428 (e); is a social religious research journal published by Institute for Research and Community Services (LP2M), State Islamic University (UIN) Walisongo Semarang. It specializes in Indonesian Islamic studies in particular, and Southeast Asian Islamic studies in general, and is intended to communicate original researches and current issues about community devotion and development on the subject. The subject covers textual and fieldwork studies with various perspectives of law, philosophy, mysticism, history, art, theology, and many more.